Not all implants are the same. In fact they vary considerably in quality and clinical research. Dr. Rissolo only uses the most technologically advanced implants in the world with the greatest supporting clinical research. Our implants have the highest clinically documented success rates for rapid healing to bone with maximum strength and durability. To learn more visit Straumann SLActive implants. Our VA Tech cone beam scanner technology allows 3D imaging of teeth, jaws, sinuses and tooth supporting bone. The doctor is able to get a 360 degree view of the structure of interest much like a medical grade CAT scan. 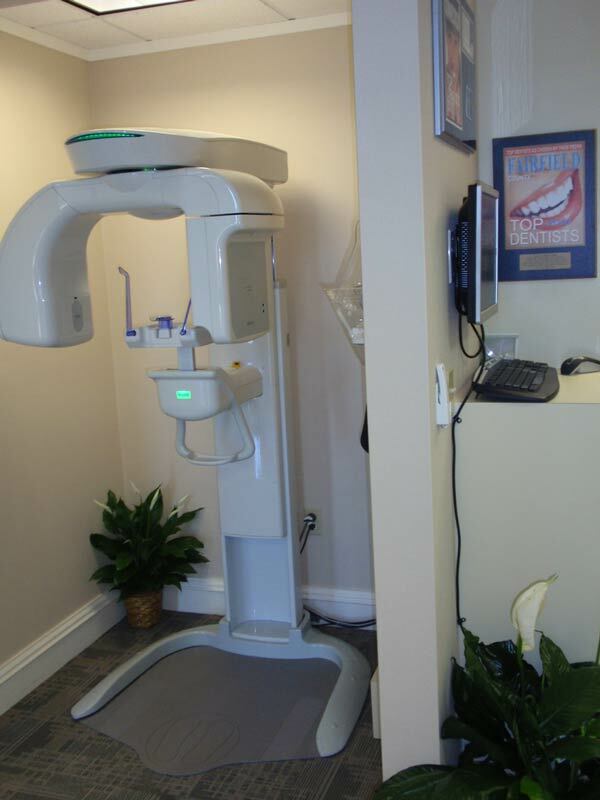 Cone Beam scanning focuses on Bone and Tooth density only and therefore provides accurate 3D information to the doctor with far less radiation than a medical CT. This is ideal for implant cases that are near vital structures and for some impacted teeth in adults and children. The VA Tech scanner has two distinct advantages over other scanners. It can vary the scan size and therefore further minimize the radiation dose to the patient. It also has a totally separate scanning sensor for 2D imagining producing the highest quality Panoramic images for routine implant and impacted tooth surgery. 3D images are merged with Staumann Co-Diagnostics Software when 3D surgical treatment planning for implants is desired. This technology allows virtual 3D surgical implant placements on the computer before the patient arrives for surgery. Very accurate Surgical Guides are made and often combined with prefabricated temporary dental bridges. This allows many patients to have teeth extracted, implants placed and temporary bridges placed all in the same day. Digital x-ray’s reduce the amount of radiation needed as compared to film x-rays while providing superior diagnostic capability. The improved diagnostic capability of digital x-rays and the ability to view the x-rays on a computer screen improves the patient’s ability to understand and follow treatment. Digital x-rays are instant, there is no longer a need to develop the film as the images display directly on the computer screen. It’s also a very green technology. There is no longer a need for film, developer and other chemical waste. It’s better for you and it’s better for the environment!